Energy balls are my saviour when it comes to snacks on the go. Before I discovered them I was prone to many a ‘hanger’ attack (far from pretty for anyone involved) so nowadays I always make sure that whenever I leave the house I pop a few in my handbag to keep me going throughout the day. 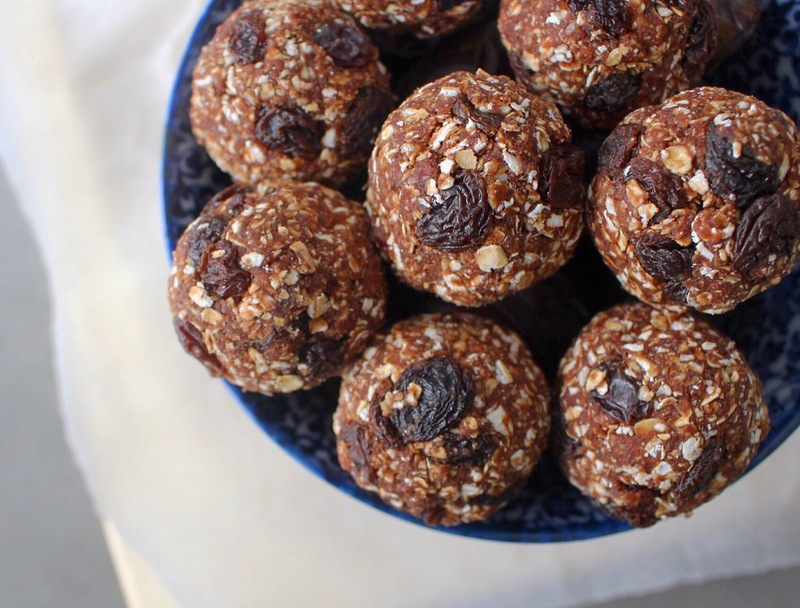 The great thing about energy balls is how easy they are to make and how few ingredients they involve, which in turn makes them a pretty purse-friendly snack, especially when you compare them to store-bought versions. 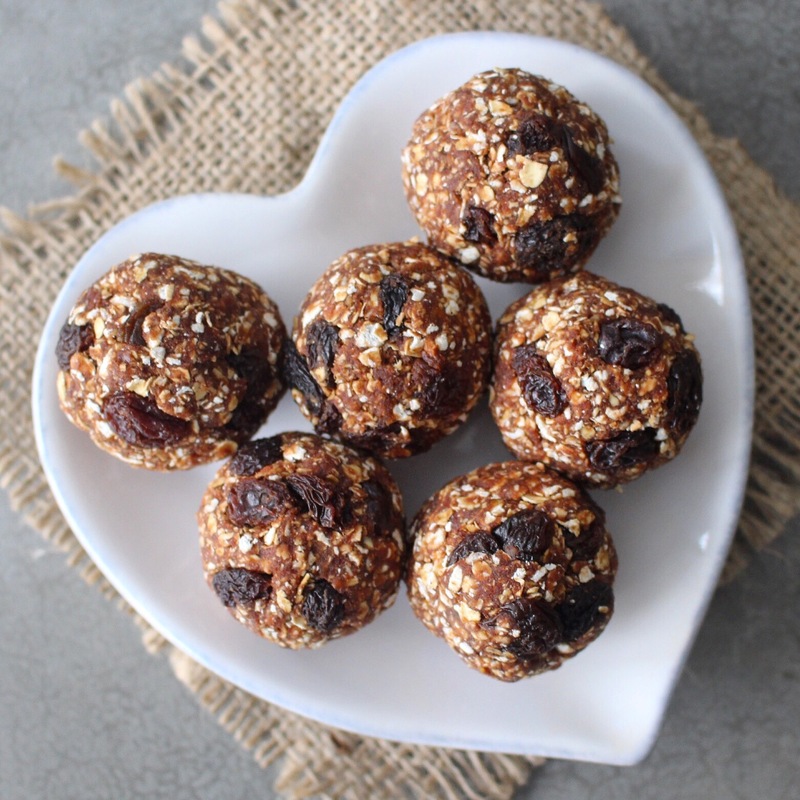 I love these granola balls as they’re made with oats instead of the usual nuts found in most energy balls, which means they’re an amazing energy booster as well as being great for people avoiding nuts for one reason or another. They also contain cacao which is full of antioxidants, and also dates and raisins which are a fabulous source of fibre. They also require very little time to make, you only need a food processor to whizz up the dates and everything else can be done by hand (great if you want to make them with little ones) and there’s no baking involved whatsoever. So you can probably see why I’m kinda obsessed with these at the moment – they’re easy, cheap and downright delicious! Simply pop the dates and cacao in a food processor and blitz until they form a sticky mixture. In a mixing bowl, combine this with the raisins and oats and mix it all together with your hands. Then shape into balls and store in an airtight container in the fridge or freezer.